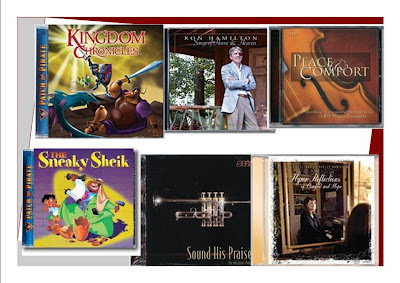 Majesty & Grace is pleased to offer Godly music for our homes this month. Music matters! Whether in my home, the kitchen or in the car, what I listen to and allow myself to think on, needs to be godly, uplifting to His holy Name and also very pleasing to my ears! These are some of our favourites. There are many other titles to choose. Ask me for a full list here. I have a new order for Majesty Music this month. Let me know if I can source any of these titles for you also. Soothing, meditative music to help our thoughts turn God-ward in trust and in praise. Songs to encourage in times of joy and times of despair. Songs written with truth from God's Word. Here is one of the finest ways to calm a troubled soul after a weary day in this world. Instrumental settings featuring string quartets often with harp, horn, oboe, flute or acoustic guitar accompaniment. * NB. Price does not include postage.